When we drink water, are we really ingesting the best for our bodies? A lot has been said about the many ways to achieve good health and one of the more outstanding ones is through purging of any waste produced by the body. This can be achieved through the drinking of alkaline water, which as its name implies, is filled with minerals that are alkaline in nature. Minerals such as sodium, magnesium and calcium are all highly beneficial to the body in the appropriate amounts. By drinking these mineral filled water, it can definitely aid in cleansing your body system from the waste accumulated. With that being said, it has been proven through research and studies that one’s health can be readily affected by its pH content. Overly low pH levels which indicates a strongly acidic system could cause the person to be vulnerable to illnesses. To further breakdown the importance of alkaline water, we must first revisit the basis of it which is the pH value. It actually stands for “power of Hydrogen” where substances are being measured by values from 1 to 14. Substances below 7 are being deemed as acidic and conversely those above 7 are alkaline. As mentioned, the more acidic one’s body is would cause them to be prone to illnesses such as flu and be easily fatigued. Thus it is more ideal to ensure the body maintains a healthy alkalinity to prevent such occurrence. We have to acknowledge acidity as one of reasons for heart diseases. Thus naturally consuming alkaline water would reverse the occurrences of these ailments. The presence of antioxidants in alkaline water have multiple benefits. They are highly beneficial in combating free radical molecules, which will cause oxidative stresses on the body. 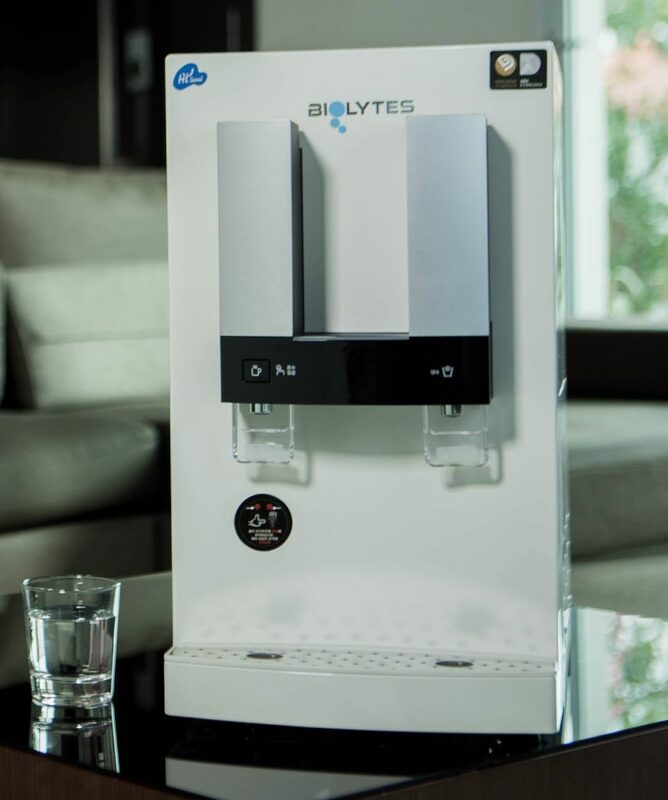 These antioxidants are similarly provided in the Biolytes smart water system, where layers of micro bio filters will remove any harmful and undesirable molecules. This would provide a safe and clean supply of water to consume. This would have been sterilized by a system that has been rigidly tested by Korean standards. Similarly, the circulation within your lungs to better absorb oxygen can be supplemented through the consumption of alkaline water. A person’s immunity is key in protect them from viruses and illnesses. In order to maintain one’s health, the acidity in the system has to be controlled through the consumption of the alkaline water and its benefits. An excess of acidic substances in the body can affect your bodily functions. This can be detriment to your digestion and organs such as the colon and pancreas. The increase in acidity can be attributed to the bile produced by the stomach, which can overpower the enzymes from the pancreas which would have maintained the alkalinity of the digestive system. As we age, we all aim to maintain our youthfulness which might be affected by the ageing of our skin. In order to do so, proper hydration is needed to slow this process and thus maintaining a radiant look. As we hydrate ourselves, the fluids are passed through our kidneys for processing and then through and out the urinary tract. 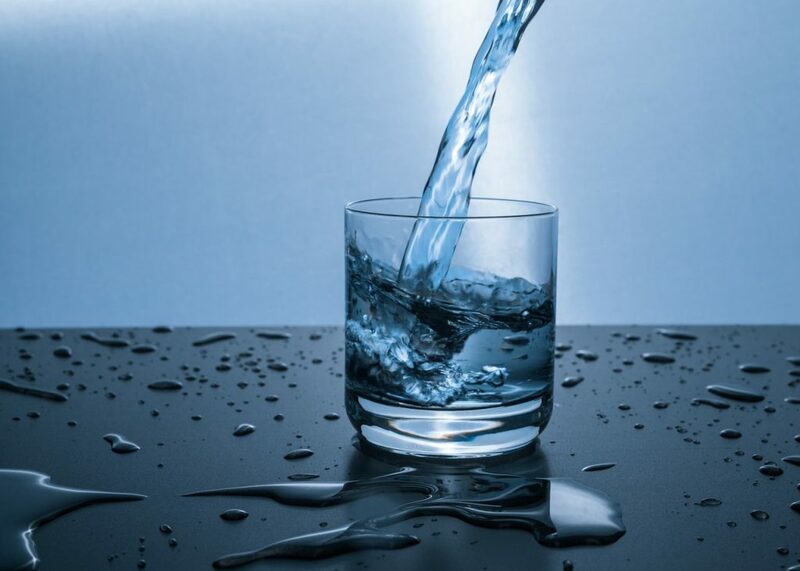 In order to prevent the kidneys from being overworked, the alkaline water will ensure this water is as clean as possible to prevent the build up of harmful molecules.